Wraparound books & manifold books are a great way to display an entire set of forms within a protective cover. They protect the forms within them from getting dirty and from elements when out in the field. They protect the top form especially. They are clean and sharp looking carrying around a book of forms instead of loose forms. Short Run Forms will make sure the staples have no sharp edges on the back of them. The staff can die cut small windows to reveal your form numbers. Short Run Forms digitally prints on your covers (see below). If you have a shrink wrap numbered job, Short Run Forms will make sure the top number is visible. In the case of a book with an added flyleaf, staff members physically write the number on the outside of the shrink wrap. 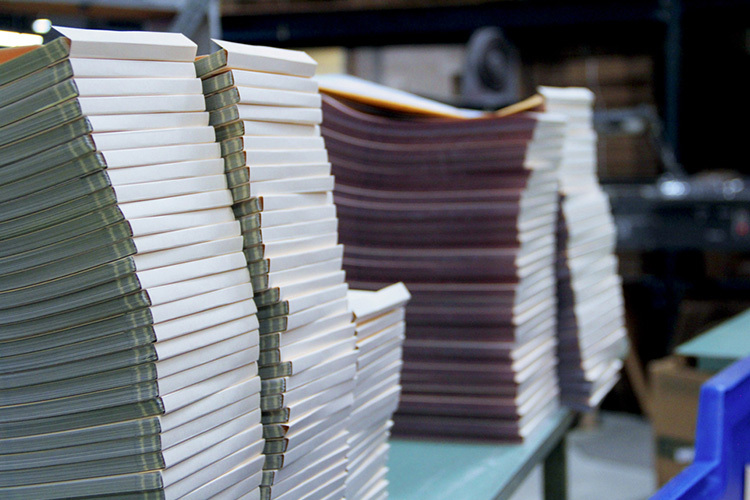 Short Run Forms can staple up to 7/8” in booklet thickness. Thick chipboard is placed behind the last form and hidden inside the cover to make the books extra sturdy. Have A Wraparound or Manifold Book Cover That Needs Printing? 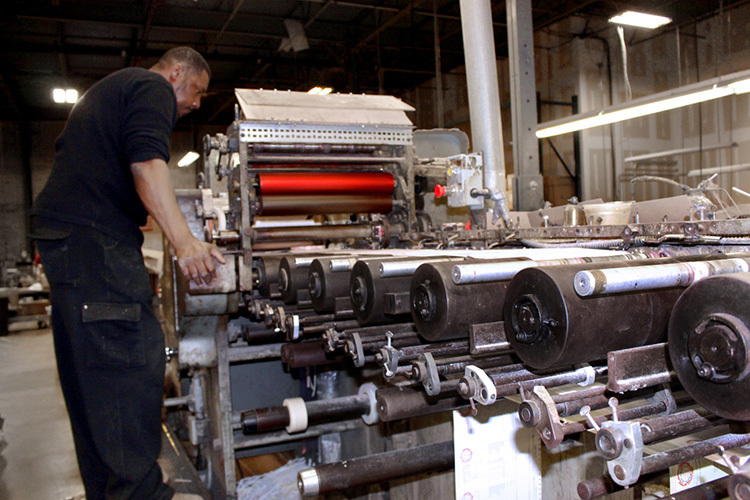 Printing on the cover of Manifold and Wraparound books is more popular these days. The typical turnaround time for these books is 7 days and adding printing to your covers will not slow down the production time. The standard cover stock is manila tag. Short Run Forms prints on white cover paper which is kept in stock or you can provide the paper stock you prefer. Short Run Forms can digitally print up to 13” x 19.25” which means when your cover is taken apart, it needs to fit within those dimensions. If it does not fit within that size, Short Run Forms will print an alternative flyleaf for your book.